This is an excerpt from Running Anatomy by Joe Puleo and Dr. Patrick Milroy. 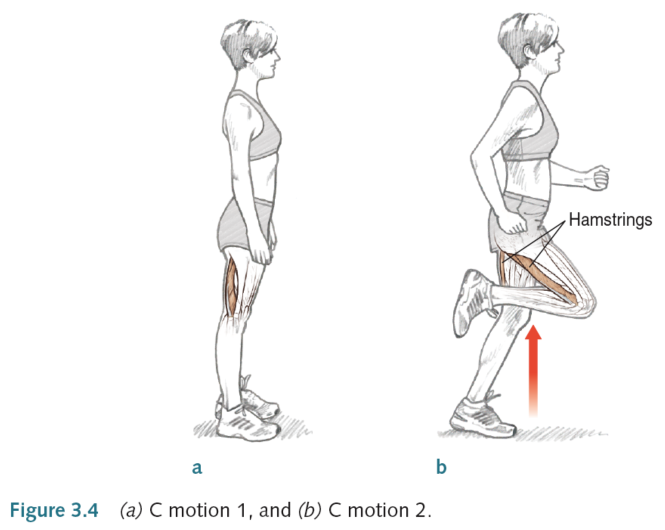 The final phase of the running gait cycle is dominated by the hamstrings. 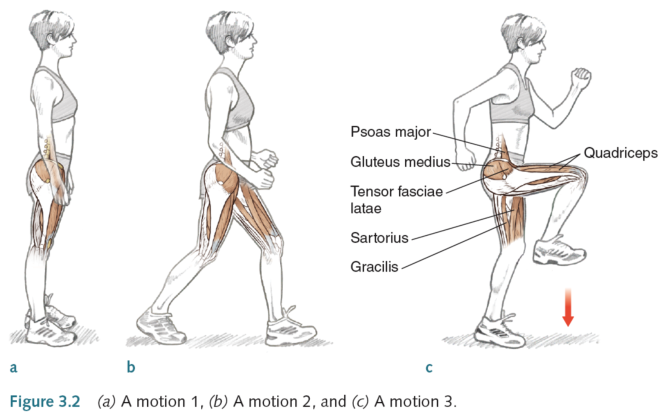 Upon impact, the hamstrings continue to contract, not to limit the extension of the leg but to pull the foot upward, under the glutes, to begin another cycle. 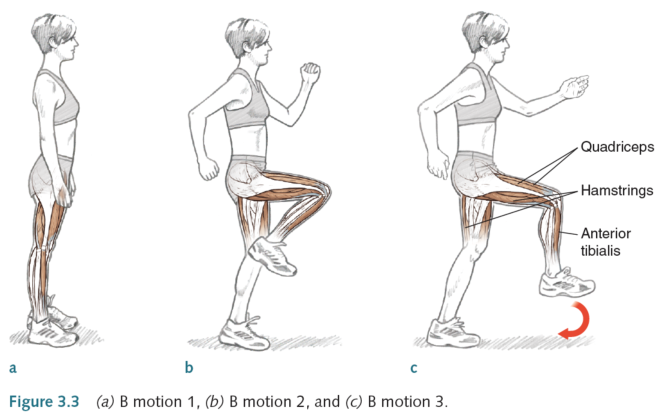 The emphasis of this exercise (figure 3.4) is to pull the foot up, directly under the buttocks, shortening the arc and the length of time performing the phase so that another stride can be commenced. This exercise is performed rapidly, in staccato-like bursts. The arms are swinging quickly, mimicking the faster movement of the legs, and the hands come a little higher and closer to the body than in either the A or B motions. A more pronounced forward lean of the torso, similar to the body position while sprinting, helps to facilitate this motion.